The medical relevance of environmental topics can be blurred by politicised debates and the global scale of the environmental impact of human life. However, a seemingly remote serious health threat is currently floating in our oceans and needs to trigger the attention of the medical community, as its clinical manifestation is only a matter of time. Via the intake of microplastics or their chemical compounds, which are set free in various decomposition processes, ocean garbage has become a latent threat to the health of future generations, and already affects human health on a global scale. 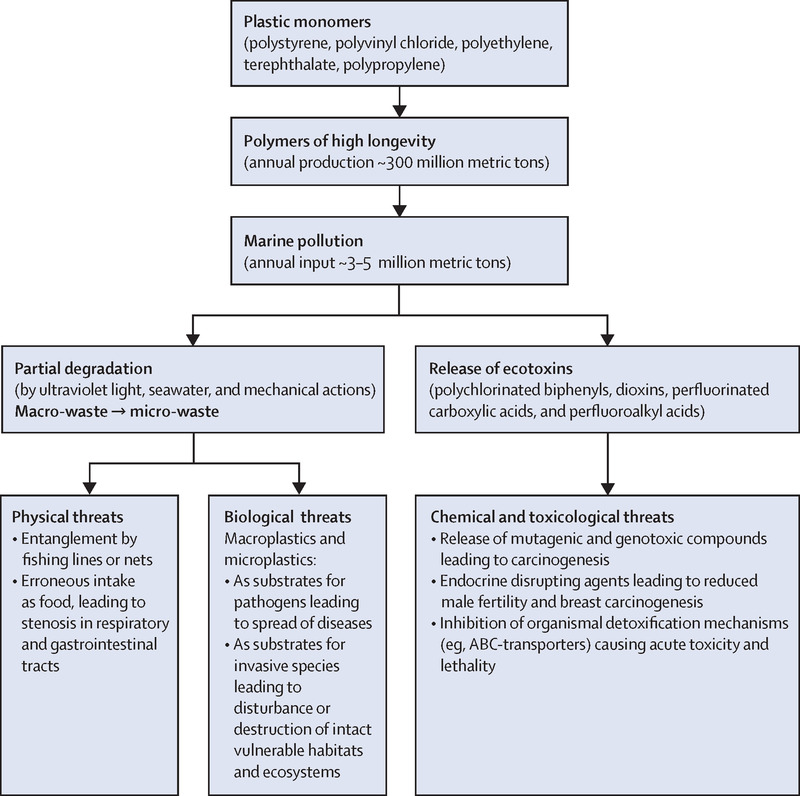 Human biomonitoring shows that compounds used for plastic production are already ubiquitous in human blood and cell.